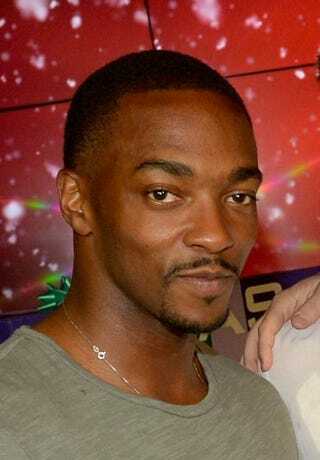 Does Anthony Mackie Really Think Donald Trump Worked His Way Up From Nothing? Anthony Mackie may have lost a couple of fans after a recent interview with BET about his upcoming movie Our Brand Is Crisis. During the interview, Mackie was asked about the upcoming election and whether he could deal with political scrutiny the same way he deals with celebrity scrutiny. Mackie then threw in his support for Republican presidential candidate Donald Trump, but one has to wonder whether it was said in jest. The interviewer then asked if that was his official endorsement. Well, someone should inform Mackie that Trump was not the “I started from the bottom, now I’m here” guy. Trump’s father, Fred Trump, was a wealthy New York City real estate developer, and Trump worked for his father’s firm while attending the University of Pennsylvania. Because nepotism is a great thing, in 1971 Trump was given control of the company, Elizabeth Trump & Son, and renamed it the Trump Organization. So, technically he worked his way up from his father’s riches. And you know, there’s nothing wrong with that. But what’s wrong is that apparently Mackie had no clue what he was talking about in the interview. I’m sure Trump appreciates his endorsement.